Please Note: This performance contains haze and strobe lighting. Silencio Blanco’s silent, colorless puppets are charged with capturing humanity and giving voice to the voiceless. 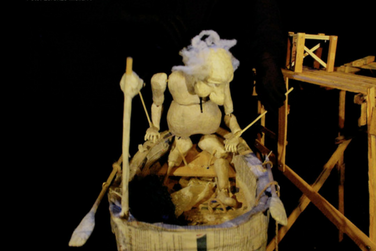 Returning to The Clarice after a moving creation residency and sold-out performances in 2017, this deeply empathetic company presents Pescador, an intimate experience that is dedicated to the lives of Chilean fishermen who face nature's overwhelming magnificence while navigating a lonely existence to support those they love. In this most transparent of installations, the tender manipulation of the austere puppets crafts a narrative that allows us to view the beauty and struggle of a fisherman’s labor.